It’s a student’s dilemma that spans the ages: What is the best way to study? And how, exactly, do I get the most out of my study sessions? People have been sharing tips and tricks on how to make the most out of a study session for time immemorial. Sound complicated? Luckily, the best advice never seems to change! 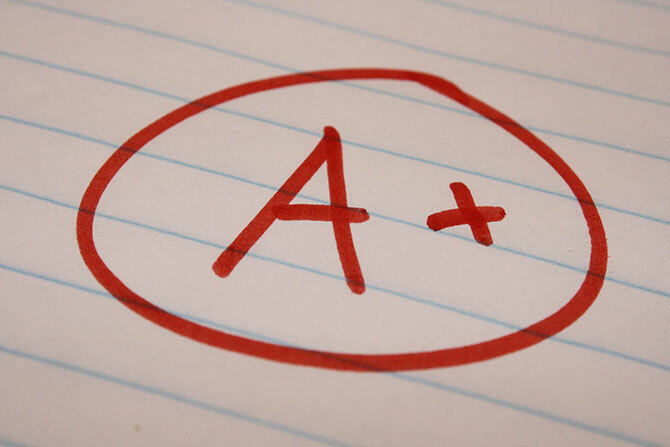 Study tips for college students almost always include a few basics that have proven effective time and time again. If you’re struggling with studying and can’t seem to get anything to stick, incorporating these tricks into your next session could be the change you need to succeed. When learning how to study in college, every major source agrees: Organization is key. Without organizational skills, even the best-laid plans can run off of the rails. This advice doesn’t just pertain to keeping your materials in order and your notes in good condition, either. Scheduling your sessions and detailing what you intend to cover can help you keep yourself on track for the long run. This is truly a study skill that you can’t do without. It does seem counter-intuitive, but taking a break from your studies can, in fact, help you later on. Taking a quick break every ninety minutes has been shown to positively affect your ability to pay attention. But you shouldn’t just sit around or browse the internet during this time. Instead, you should focus on a few things that keep you energized and ready to return to the books. Stretching, a walk, or other light exercise is a great choice. If you’re feeling hungry, eating a light, healthy snack is another option. Just watch the junk food, and try not to nap! Your teachers were wrong, there is such a thing as studying too much. And it’s a real problem. However, that’s not something that is commonly included when people give advice to students. Studying is actually wearing on the body. It’s hard to tell, but it can take a toll. For those who don’t overdo it, this isn’t really a problem. But over-studying can leave a student exhausted. Combat this by studying only in moderation, and accepting help from https://samedaypapers.com/write-my-essay when you need it. Happen to be a workaholic? Set a timer to ensure that you don’t sit at your desk all night, or ask a friend to join you. Yes, notes matter. They’re an important part of the learning process, so be sure to use the right methods! Simply writing out everything that the professor says in longhand is perhaps the worst way to take notes. It’s unnecessary. Instead, learn how to outline and separate key information in a way that is simple to read and understand later. This makes the information clear. Then you can compile that information into flash cards, study guides, or simple lists. Humans are a social species. That’s something that can be used to your advantage here. Study groups are a wonderful way for those who aren’t seeing results on their own. Schedules often come part and parcel with this meaning over- or under-studying will become less of a problem. Students in these groups can also lean on each other for support when someone has trouble understanding something. There’s almost always someone in the group who understands and can help clear up the confusion. Procrastinators, take heed. Waiting until the night before a big exam to study is the epitome of bad study ideas. 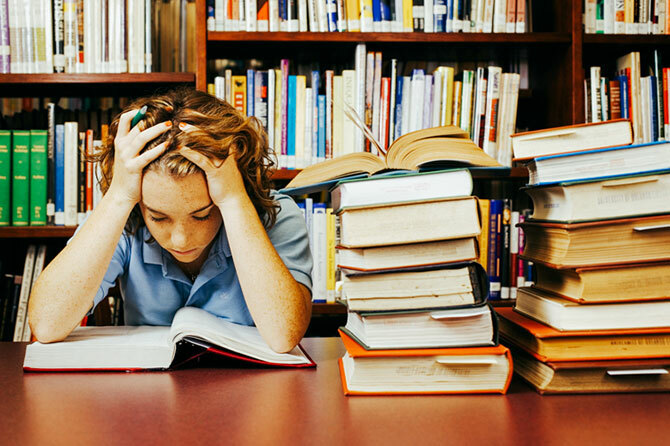 The stereotype of “cramming” in college is likely to do more harm than good. Information is better learned when you’ve digested it over time, instead of all at once. You’ll also put yourself at risk of exhaustion, making your academic performance even worse and driving your stress levels through the roof. Studying is a delight for some, a chore for others. Whether you enjoy it or are absolutely confused by it, there are ways to make it easier to absorb and retain the information. It’s not how hard you work, but how smart. Planning and organization are the backbone of your studies, and, without them, your entire plan could crumble. Keeping things social by joining a study group. Try to stick to a schedule. But you shouldn’t forget to take a breather now and again. So cultivate patience, set aside the time, and call a friend (or four). Don’t forget to take a breath. And then hit the books. Just don’t wait until the night before to do so! Susan Wallace is a writer and master note-taker. Susan enjoys volunteering at local schools and organizing her pantry. She has two Great Danes, Honey and Duke.